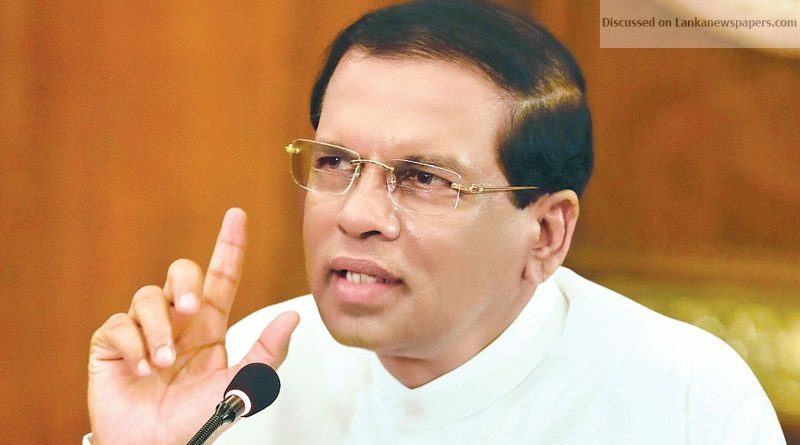 President Maithripala Sirisena yesterday requested the Cabinet to reconsider the Budget proposal to do away with the international telecommunication levy as otherwise, it would deprive the State of revenue amounting to Rs.6 billion. Finance Minister Mangala Samaraweera proposed the granting of tax concessions on international phone calls as a relief to families of Sri Lankan expatriate workers. The Cabinet met for the first time yesterday after the Budget was presented in Parliament. ← His statement sent them into a panic!